This week has been a much better for week in terms of reading, I finally feel like my mojo is really, properly on its way back. I’ve finished five books (most were books that I’ve been part way through for a while, only one was a book I started and finished in the same week), I’ve started some new books and most importantly when I’m not reading I look forward to getting back to my books! It’s wonderful to feel like this again. Now I just need my reading speed to pick up as I’m not used to reading so slowly but I’m sure that will come back soon now I’m excited about reading again. My real life has been up and down this week. I had an appointment on Monday that was important but it was very hard on my body and triggered off the very severe pain that I get. I had to spend the rest of the day flat on my back in bed as I could not move. It’s taken a couple of days for things to begin to ease but I’m finally back at a more normal level of pain for me now. I’m excited for this week as I’m due to have my stairlift installed and I just can’t wait, I feel like a small child waiting for Christmas to arrive and I’m practically counting the minutes down now! I don’t want to have a stairlift but I do want the freedom to go downstairs in my own home when I want to. Apart from Quicksand, which I did read within the last seven days, I’ve been reading these books for a while now and just managed to finish them this week. The four books that I haven’t reviewed yet are on my list to review so hopefully I’ll get those posted on my blog in the next couple of weeks or so. I’ve managed to blog six times this week, which I’m very pleased about. I don’t plan a set schedule for my blog unless I have blog tour scheduled in but I do usually know what I’d like to post on each day, health permitting! This week I will definitely have an interview with author Andy Owen about his new book, East of Coker. I also plan to review two or three of the books I’ve finished recently. 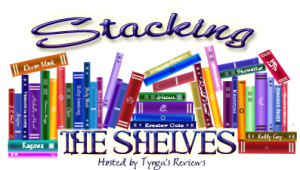 And, of course, I’ll still be joining in with my regular WWW Wednesday, Stacking the Shelves on Saturday and on Sunday will be my Weekly Wrap-Up post. I’m still finding this book to be fascinating but it’s quite technical so I’m just reading a chapter here and there. It’s also over 800 pages long so I reckon this will be an ongoing read for quite a while. This is another fab book by Tammy Cohen, I’m now 62% through it and have got my suspicions about certain characters! I want to keep reading but real life keeps interrupting. This book was gifted to me on Net Galley a while ago and I’ve been really keen to read it but somehow haven’t got around to it until now. I’ve only read three chapters so far but I’m hooked and can’t wait to see what happens next to Amber Green! This is another Net Galley book that I was so keen to read when I was approved for it but then real life got tough and my reading mojo upped and left. Now it’s back I couldn’t resist choosing this for my next read. It’s such a good book, I just wish I had more hours in the day to read!